Crawford, Colin . "Vancouver Whitecaps FC". The Canadian Encyclopedia, 11 July 2016, Historica Canada. https://www.thecanadianencyclopedia.ca/en/article/vancouver-whitecaps. Accessed 20 April 2019. Vancouver Whitecaps FC is a men’s professional soccer team that plays in Major League Soccer (MLS). Vancouver Whitecaps FC is a men’s professional soccer team that plays in Major League Soccer (MLS). The club was originally founded in 1973 and played in the North American Soccer League until 1984. The club was reincarnated twice during the period 1986 to 2011, when it joined MLS as the league’s second Canadian franchise. They have won the Voyageurs Cup once (2015) and have advanced to the MLS playoffs three times, becoming the first Canadian team to do so in 2012. The club is one of three MLS franchises in Canada, including Impact de Montréal and Toronto FC. The Vancouver Whitecaps FC (women’s team) played in the professional W-League from 2003 to 2012. Organized soccer was played in British Columbia as early as 1908, when the Pacific Coast Association Football League was formed. That league featured teams from Vancouver, Nanaimo, Victoria, Ladysmith, and Seattle, Washington. The first professional game was played on 25 March 1910 between the Vancouver Rovers and the Callies. However, pro soccer was not immediately popular, as the BC Amateur Athletic Union (BCAAU) was the prominent governing body at the time. In 1920, British Columbia joined the Dominion of Canada Football Association. The following year, British Columbia teams were admitted to play for the association’s Challenge Trophy. From 1921 until 1939 (when play was suspended for the duration of the Second World War), BC teams won the cup 9 times in 13 championship appearances. The Westminster Royals were the premier team at the time, winning the trophy every time they made it to the finals (1928, 1930, 1931, 1936). The 1928 squad was inducted to the Soccer Hall of Fame and Museum as a Team of Distinction in 2005. Professional soccer returned to BC in 1967, when a Vancouver team competed in the United Soccer Association (USA). The USA league shipped entire teams from Europe and South America to North American cities and re-branded them, and the Vancouver Royal Canadians were actually a repackaged Sunderland A.F.C. from England. They didn't perform well, but carried on until 1968, when they were renamed the Vancouver Royals. Legendary Hungarian player and manager Ferenc Puskás was hired as head coach. The Royals finished last place in its division, with a win-loss-draw record of 12-15-5. The team folded after one season. The Vancouver Whitecaps was founded 11 December 1973 and played its first game in the North American Soccer League (NASL) on 5 May 1974. The club had mild success early on, but went on to win its regular season division in 1978 and 1979, the same year it won the league championship. The 1974–84 Whitecaps teams included future Soccer Hall of Fame inductees: Bob and Sam Lenarduzzi, Bruce Wilson, Gerry Gray, Tino Lettieri, Dale Mitchell, Mike Sweeney, Ian Bridge, Les “Buzz” Parsons, Carl Valentine, Bob Bolitho, Garry Ayre, Brian Robinson, Glen Johnson, Les Wilson, Neil Ellet and Victor Kodelja. Coach Tony Waiters, trainer Lou Moro and owner Herb Capozzi were also inducted. The Whitecaps played until the NASL folded in 1984. The Vancouver 86ers joined the Canadian Soccer League (CSL) in 1987, the league’s inaugural season. They were called the Vancouver 86ers after the date of Vancouver's founding (1886), the team's founding (1986) and the 86 people who financed the club. Though many Whitecaps were on the roster — including Dale Mitchell, Carl Valentine, David Norman and Bob Lenarduzzi — the club was unable to secure the Whitecaps name. The team won its first game on 7 June 1987, beating Edmonton Brick Men 4–2 and setting a tone for their stay in the CSL. The 86ers went on to finish five straight seasons in first place (1988–92), and win four straight CSL championships (1988–91). The club made it to the final in 1992, but lost to Winnipeg Fury. The club won the North American Club Championship in 1990, a tournament that crowned the best men’s team in North America. The 86ers changed leagues a number of times during the 1990s, as a number of professional soccer leagues were created, re-branded and merged. The club played in the American Professional Soccer League (APSL) (1993–95), the A-League (1995–96), USISL A-League (1997–98) and United Soccer Leagues A-League (1999–2000). In 2000, the club was brought under new ownership and the Vancouver Whitecaps FC name was secured. The team made it to the conference finals in 2001 and 2002, but no further. In 2006, the Whitecaps won their first USL Division 1 championship. The club won its second championship in 2008 and made it to the finals in 2009, losing to Impact de Montréal. The Whitecaps played in the USSF Division 2 League for the 2010 season, reaching the semifinal. The Whitecaps were awarded a Major League Soccer (MLS) franchise on 18 March 2009 — the second Canadian franchise, after Toronto FC. Their first game was played at Empire Stadium in Vancouver on 19 March 2011 against fellow Canadians Toronto FC. Vancouver won 4–2, with the first goal scored by Eric Hassli. Terry Dunfield scored the second Whitecaps goal of the game, becoming the first Canadian to get a goal for the new franchise. However, the team failed to win its next 14 games and ended its first season in last place with a record of 6-18-10. The Whitecaps had second pick in the 2012 MLS SuperDraft and selected Darren Mattocks, the University of Akron standout. He was quickly worked into the starting lineup and, despite missing six weeks after a cooking accident, ended the season as the club's top scorer, with seven goals. 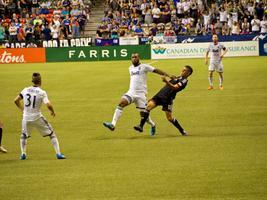 The Whitecaps won their first game 2–0 over Impact de Montréal. An average of 541,000 viewers watched the game on television, and a total of 2.5 million tuned in to some part of the game, making it the most watched MLS game in Canada. Vancouver made it to the playoffs in 2012, the first Canadian team to reach the MLS post-season. They were knocked out in the preliminary round by LA Galaxy. Vancouver selected Kekuta Manneh and Erik Hurtado in the 2013 MLS SuperDraft. Vancouver once again hosted a Canadian side at BC Place to open the season and once again emerged victorious, this time beating Toronto FC 1–0, with Gershon Koffie scoring the only goal of the game. The Whitecaps went on to put together a commendable season: in June, the club acquired Danish goalkeeper David Ousted to solidify the back line; and Brazilian forward Camilo Sanvezzo scored 22 goals during the regular season. But despite a winning record of 13-12-9, Vancouver missed the playoffs. Head coach Martin Rennie was let go in the offseason for his inability to bring the club into the playoffs. He was replaced by Carl Robinson, a Welsh international and ex-Toronto FC player, in December 2013. During the off-season, Camilo Sanvezzo was transferred to Mexican side Querétaro; full-back Steven Beitashour was brought in from San Jose; and Matías Laba was acquired from TFC, becoming Vancouver's second Designated Player (DP). (DPs are players whose contracts would ordinarily push the team payroll over the league salary cap. With the DP rule, only a portion of the contract counts towards the cap, while the rest of the salary is paid for by the team, rather than the league. It was commonly known as the “David Beckham” rule, as the Englishman was the first such player, signing for LA Galaxy in 2007.) The Whitecaps signed its third DP shortly after: Pedro Morales from Spanish club Málaga CF. The Whitecaps opened the 2014 season against the New York Red Bulls in Vancouver, winning 4–1 on goals from Kenny Miller, Sebastián Fernández and Pedro Morales. Two months later, Kenny Miller’s contract was terminated. The club won four of five games to end the season, which squeezed them into the playoffs. The Whitecaps lost 2–1 to FC Dallas in the first round. Coach Robinson was retained for the 2015 season and maintained the team roster: the only big names signed were Pa-Modou Kah from Portland Timbers, and Octavio Rivero (DP) from O'Higgins FC in Rancagua, Chile. The Whitecaps finished the season with a record of 16-13-5, second place in the Western Conference and third in the league. Their regular season finish earned them a bye to the conference semifinal, where they faced the Portland Timbers. Despite a 0–0 draw in the first leg, the Whitecaps lost 2–0 on aggregate. 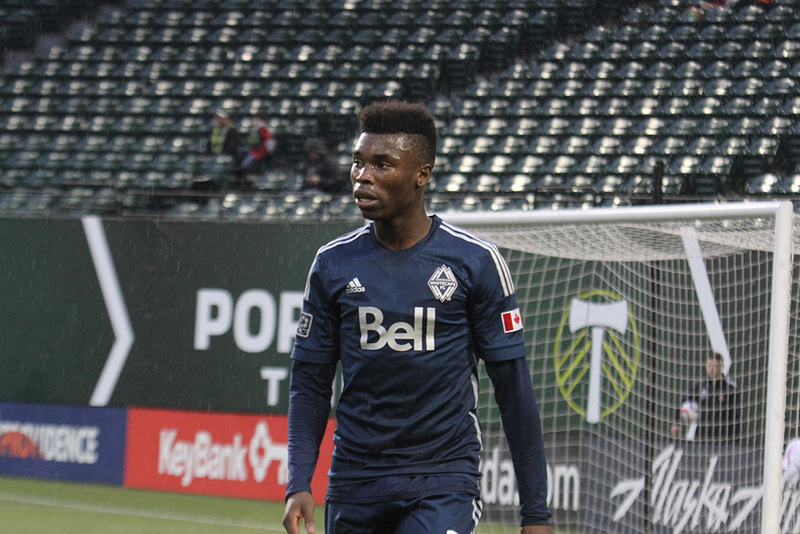 Sam Adekugbe, defender for the Vancouver Whitecaps, at Providence Park, 25 February 2015. The Voyageurs Cup was introduced in 2002 as an award for the best Canadian team in the USL A-League. At that time, the cup was open to Impact de Montréal, Toronto Lynx, Calgary Storm and Vancouver Whitecaps. From 2008, the trophy was awarded to the winner of the Canadian Championship, a tournament that determined the Canadian entrant to the Confederation of North, Central America and Caribbean Association Football (CONCACAF) Champions League. The Whitecaps came close to winning on several occasions, making it to the final of the Canadian Championship three years in a row (2011–13). They won the trophy in 2015. That year, they were drawn in the semifinal against Edmonton FC, who held them to a 1–1 draw in the first game of the two-legged playoff. Vancouver went to Edmonton for the second leg needing a strong performance, and took an early lead from a penalty, scored by Pedro Morales. Edmonton equalized on a penalty in the 91st minute, scored by Tomi Ameobi. It looked as though the tie was heading into extra time before Matías Laba scored his first goal for Vancouver in the 97th minute, securing passage to the final against Impact de Montréal. The first leg of the final was played in Montréal, and the Whitecaps were leading 2–0 with only 10 minutes to play. Montréal scored twice in that time, tying the game at 2–2. The second leg was played on 26 August 2015, and after Montréal’s Victor Carbrera was sent off in the 30th minute, the Whitecaps scored two goals, winning their first Voyageurs Cup and a place in the 2016–17 CONCACAF Champions League. Vancouver played in the 2015–16 Champions League, having qualified as the best Canadian MLS team. Drawn into a group with local rivals Seattle Sounders and Honduran champions Club Deportivo Olimpia, the Whitecaps finished bottom of their group and didn’t advance. Tim Parker scored the Whitecaps’ first goal in the tournament on 5 August 2015, in a 1–1 draw with Seattle. The Cascadia Cup was created in 2004 as an informal, fan-presented trophy awarded to the best team in the Pacific Northwest: Vancouver Whitecaps, Portland Timbers and Seattle Sounders. In 2009 and 2010, only the Whitecaps and Timbers played for the Cup, as the Sounders had joined MLS. When all three teams were part of MLS in 2011, the competition resumed with the full roster of teams. The Whitecaps won the trophy five times between 2004 and 2015. The Whitecaps youth development set-up includes several streams for young players to hone their skills. The Academy Centres are throughout British Columbia and are often run with local partners on a part-time basis. Players selected are invited to be part of the Whitecaps Residency program, which is a full-time, year-round program for Under-18 and Under-16 squads. There are also Pre-Residency squads for U-13 to U-15. In 2011, U-16 and U-18 teams began play in the U.S. Soccer Development Academy, a continent-wide youth academy league. Players usually progressed to the Whitecaps FC U-23 team, which played in the USL Premier Development League. Many players have come through the residency program since its inception in 2007, including Marco Carducci and Ethen Sampson, and Canadian internationals Marco Bustos, Kianz Froese, Sam Adekugbe and Russell Teibert. 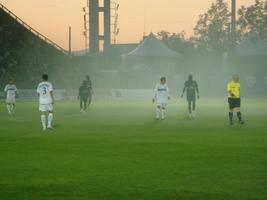 The Whitecaps FC U-23 team ceased play after the 2014 season. In 2015, Whitecaps FC 2 filled the gap, playing in the United Soccer League. Whitecaps FC 2 play their games at Thunderbird Stadium in Vancouver. The team gives young players coming out of the Residency program an opportunity to play against professional teams. Players are exchanged between Whitecaps FC and Whitecaps FC 2 over the course of the season. In 2003, the Vancouver Breakers, a women’s professional team, was brought under the Whitecaps FC umbrella and renamed the Vancouver Whitecaps FC. They played in the W-League, the top tier of women's professional soccer in North America, and had a good deal of success at that level, winning championships in 2004 and 2006. In 2004, the Whitecaps finished first place in their conference and beat the New Jersey Wildcats in the league final. In 2006, the Whitecaps beat Ottawa Fury 3–0 behind goals from Martina Franko, Christine Sinclair and Sasha Andrews for their second championship. The Vancouver Whitecaps women stopped play after the 2012 season, ahead of the National Women's Soccer League’s inaugural season in 2013. Many of the club’s best players were signed by NWSL clubs. The Whitecaps youth teams continue to play and the club operates a Women's Regional EXCEL Centre, to develop young players and provide a pathway to the Canadian national women’s team. As with many MLS clubs, there are several supporters groups at BC Place. The Curva Collective and Rain City Brigade are two of the larger groups that support the Whitecaps, but the biggest and best known are the Vancouver Southsiders. Formed in 1999 as a supporters group for the Vancouver 86ers, they took their name from the south end bleachers in which they sat at Swangard Stadium. They were the first to be offered season tickets for the inaugural MLS season. The Southsiders have appeared in various marketing materials produced by the club and their membership has surpassed 1,200 people. 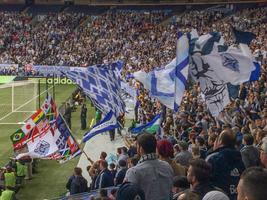 Some supporters have criticized the club for rising ticket prices at BC Place, ticket allocation for away fans, and strict policing of flags and banners. VANCOUVER WHITECAPS FCThe official Whitecaps site. MAJOR LEAGUE SOCCERThe official league site.